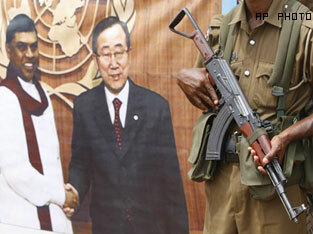 UNITED NATIONS, October 15 -- The UN under Secretary General Ban Ki-moon is slow in answering questions, particularly glaringly when it comes to Sri Lanka. On the morning of October 14, Inner City Press put three simple questions to Ban's spokesperson Martin Nesirky, asking for answers by the end of the noon briefing. 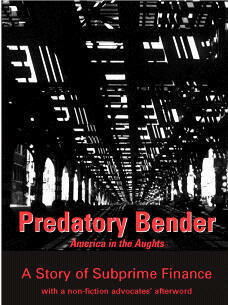 None were provided until a full 24 hours after that, and even then, the answers were evasive. Since so little has been said about it of late, Inner City Press asked how the members of Ban's panel of experts of accountability for the final stages of the conflict in Sri Lanka are compensated, and why they have no spokesperson, unlike Ban's under three member panel on the referendum in South Sudan, from which Inner City Press just returned. Twenty four hours after deadline, Nesirky responded that “These are two different panels, one of which is advisory and reports to the Secretary-General. The Spokesperson's office is in contact with the Sri Lanka panel and will put out any messages that they would like to convey.... The advisory panel on Sri Lanka, as we have made clear in the past, is paid out of the regular budget, under 'unforeseen expenses. '” But how much are they paid? And what are they going? But the government of Mahinda Rajapaksa is highly unlikely to request any outside help or review. Did Mr. Ban say these things? When? If not, will he let this stand? I am requesting response to these questions by email before the conclusion of the noon briefing, four hours from now. Nesirky responded: “We have put out our own readout of the meeting with the President of Sri Lanka and stand by that readout. We do not as a general rule comment on the descriptions of meetings provided by Member States." Ban, who has refused to describe his contacts and relationship with President Mahinda Rajapaksa and his son-in-law Siddarth Chatterjee's connection with Sri Lanka as an Indian military officer, is said by Sri Lankan diplomats to have reached a separate agreement with Rajapaksa that he could issue his own summaries of their meeting. But we will continue to pursue the matters. Watch this site. UNITED NATIONS, October 1, 2010 -- The UN's stonewalling on Sri Lanka expanded on October 1 with the Spokesman for Secretary General Ban Ki-moon dodging whether Ban reached a private understanding with President Mahinda Rajapaksa that Rajapaksa could represent what Ban said in a one on one meeting about the limits of the UN war crimes panel. “It's up to individual heads of state” to issue whatever summaries they want, Spokesman Martin Nesirky said. But did Ban reach an understanding with Rajapaksa, that he could say things not included in Ban's own summary of their meeting? Nesirky did not answer. Video here, from Minute 47:28. 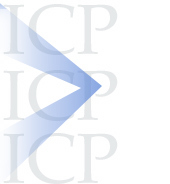 Inner City Press asked again, as it has for months, for a desciption of Ban's contacts with Rajapaksa, including before and as Ban became Secretary General. After having promised already to provide the answer, Nesirky on October 1 said he didn't understand the question: a list of meetings? Yes, of meetings and topics and whether Ban considers Rajapaksa a personal friend. How else to explain what Ban's adviser Nicholas Haysom called the “abnormal” summary of the two men's meeting -- which unlike other UN summaries included the President's as well as Ban's words -- and the separate understanding about Rajapaksa issuing his own summary? Nesirky has still refused to explain how the “abnormal” summary of Ban's meeting with Rajapaksa was produced. Hayson, for one, seemed surprised to see its content. That Nesirky couldn't or wouldn't explain how it was produced implies that Nesirky was not involved in his preparation. Who was, then? On the question of Ban's son in law Siddarth Chatterjee's involvement in Sri Lanka, with the Indian army force, Nesirky deemed it “irrelevant” two weeks after saying he would answer it. On October 1, Inner City Press asked if Nesirky had even deigned to ask Ban or his Office about it -- that is, whether Nesirky had the answer and wouldn't provide it, or didn't even have the answer. Even this was not answered. After Inner City Press agreed but noted that Sri Lanka is the only country in which Ban has been burned in effigy - and from which people protested his speech at a midtown Manhattan hotel -- and that an “abnormal” summary of his meeting with the President had been issued, Nesirky asked if Inner City Press was saying that because of the burning in effigy, the summary was different. Perhaps it was a rhetorical question. Spokesperson Martin Nesirky: Yes, Matthew. Inner City Press: Sure, I wanted to ask, this is on another inquiry war crimes, the one in Sri Lanka. I have done a little bit more reporting and can say that a Sri Lankan diplomat yesterday told me that President Rajapaksa had an understanding with the Secretary-General that he could issues his own summary of the tête-à-tête meeting. That they violated no rules; that that was the understanding. I wanted to get your comment on that. Spokesperson: As I said, it’s up to individual countries. If they wish to provide a readout of a meeting, it’s for them to do. Inner City Press: Was there an understanding? That’s the word that he used to me, that there was an understanding that would be done, but it wasn’t done, and then the Secretary-General chose not to comment. The understanding was that it would be done in that way. Spokesperson: Well, as I said, this was tête-à-tête meeting. I wasn’t in the room. I assume that the diplomat that you refer to was also not in the room, and I think I will leave it at that. Inner City Press: I want to ask, you’ve said that the information about Ban Ki-moon’s son-in-law’s involvement in Sri Lanka is irrelevant, although I would encourage you to just answer questions rather than judge their relevance. But I do want to know whether you are going to give an answer to this description of the Secretary-General’s relationship with President Rajapaksa prior to becoming Secretary-General? Spokesperson: It’s really important to understand precisely: what do you mean by that? Spokesperson: No, I mean what do you want? A list of the number of times they met or what? I mean, it’s just not clear to me. Inner City Press: The times that they met; the terms on the issues on which they met about, whether, you know, whether the Secretary-General considers him a personal friend. All going to this point of whether, in on extraordinary…, why this, there was an abnormal described by Haysom as abnormal; and why the Sri Lankan Government is now saying they had a special understanding with the Secretary-General that apparently other Governments don’t get when the issue at issue is a inquiry into war crimes and the killing of 40,000 people. It seems relevant. But I mean, whether you think it is irrelevant, I have asked you that. You’d said you’d get it and I don’t have it. And on the question of the son-in-law, I don’t, have you been told? Have you asked the Secretary-General’s Office for that information or have you just not asked him? Do you have it but you don’t want to tell me or you don’t have it? That’s what I want to know. Spokesperson: Well, the logic of that is a little bit confused. On the question of the Secretary-General’s meetings or otherwise with President Rajapaksa, the Secretary-General, as you know, before he was Secretary-General was the Foreign Minister of the Republic of Korea. And I will need to check what meetings he may have had in that capacity. Inner City Press: Check if he went on a visit with the President down to the hometown of the President in southern Sri Lanka. Spokesperson: And I think we can obviously find that out. I mean, you are asking, we can obviously find out. But I mean, there are a couple of things here. One is that your focus is on this topic. There are many other topics that the Secretary-General deals with, whether it’s Myanmar, or the Middle East or, many topics. And it’s not about homing in and singling out one particular topic. Spokesperson: So you think that the readout was done like that because the effigy was burned, is that what you are saying? Inner City Press: No, I didn’t say that. I said those are true facts that make it significant, you can try to minimize it, but many people were killed, he visited the country [inaudible]. 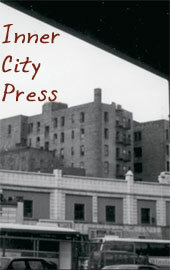 Inner City Press: You said there are many other things. Spokesperson: Yes, that’s not minimizing. That’s just saying that there are other topics. Spokesperson: Well, now you’re belabouring it. And if I have something, I’ll be happy to share it. Spokesperson: Well, if it’s easy enough maybe you will have got it already. Inner City Press: No, but from the Secretary-General. You are his Spokesman, I am not. UNITED NATIONS, September 29, 2010 -- With UN Secretary General Ban Ki-moon embroiled in controversies including about his personal and familial relations with Sri Lanka, Mr. Ban's spokesman Martin Nesirky declared on Wednesday that it is “irrelevant” whether Ban's son in law Siddarth Chatterjee served with the Indian military forces in Sri Lanka. Video here. 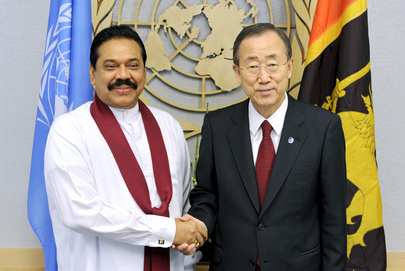 Inner City Press: ...can you describe the personal relationship of the Secretary-General with Mr. Rajapaksa, including prior to becoming Secretary-General? And, can you confirm that the Secretary-General’s son-in-law served in the Indian peacekeeping force that occupied Tamil areas of Sri Lanka during previous peace negotiations? Just as a factual matter to know what the Secretary-General’s connections to Sri Lanka are? Spokesperson Nesirky: ... as the final two questions, I will get back to you. When Inner City Press on September 27 asked Nesirky to reconcile these summaries, he said it was normal for the UN to not comment on president's summaries of talks with the Secretary General -- despite having done so with, for example, Sudan. On September 29, Ban adviser Nicholas Haysom told Inner City Press that the UN summary including a paragraph of President Rajapaksa's comments was not normal. He said there was a one on one, tete a tete, meeting between Ban and Rajapaksa, of a type he said took place in one in ten, or one in twenty, of Ban's meetings. Why was it not included in the UN summary? Nesirky refused to say which other of Ban's meetings had tete a tete portions. Inner City Press asked about his statement, two weeks previously, that he would “get back” to Inner City Press about Ban's relations with Rajapaksa, and Ban's son in law's relations with Sri Lanka. Ms. Shipra Sen had contacted Inner City Press, saying she could not otherwise get justice. She was married to Siddarth Chatterjee before he became involved with Mr. Ban's daughter Ban Hyu-yee. Ms. Sen states that Chatterjee used his connections to quash her in court, and that she had more recently contacted her to threaten her against speaking to Inner City Press. Ms. Sen has described to Inner City Press Mr. Chatterjee's time with the Indian military whose time in Sri Lanka included charges of abuse and even war crimes, including graphic descriptions which make questions about Sri Lanka and Ban's son in law far from irrelevant. It would seem important for Ban or his Office to comment. But on September 29, Nesirky also refused to answer the outstanding question about Ban's relations with Rajapaksa. The questions continue to mount. Watch this site.